A map of the United States redesigned to make each state’s population equal. One impact of yesterday’s Hagel vote, one I tweeted a bit about but didn’t fully explain, was that any one of the 40 Republican holdouts could have moved the debate forward. Sen. Rand Paul could have. Some of the Paul movement’s intellectuals, like Daniel Larison, will remember that. Sen. Paul has voted for cruel, ineffective Iran sanctions, and a lot of antiwar conservatives were willing to cut him some slack on the grounds that he was still opposed to war with Iran. He offered an entirely unnecessary security guarantee to Israel, and many of his potential supporters were still willing to give him the benefit of the doubt. Voting to block Hagel was the final straw for a lot of people, but it’s important to understand that this reaction is not limited to dissatisfaction with today’s vote. The decision to vote with his party to block Hagel is part of a pattern of bad calls that Sen. Paul has made in recent months, and in each of these he has ended up siding with people who hate restraint and prudence in foreign policy and who also hate Hagel because he represented some measure of both. Alex Pareene quickly rips apart the lazy “liberals would hate foreign policy X if Bush did it” meme. Tom Frank goes brutal on Team of Rivals. And to every vexing human-relations question, Team of Rivals gives a pat answer. How, for example, does one ride herd over a group of difficult, contentious, even creative people? Goodwin’s Lincoln offers the following counsel: Listen more and blame less. Also: Be sure to relax now and then. Also: Don’t hold grudges. “I can’t speak for anyone else, but I think it is fundamentally wrong to hold up a vote on Rich Cordray,” Warren said. Rep. Justin Amash tries to end a week of Democrats citing him as proof of Republican disarray. 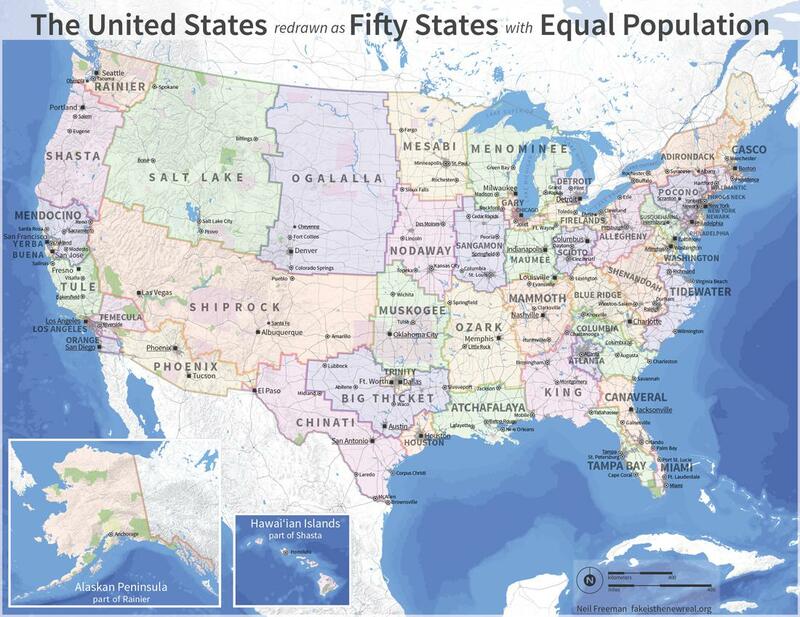 And this map of the United States re-divided into 50 states of equal population is just terrific. Correction, Feb. 15, 2013: This post originally misspelled Daniel Larison’s first name.